Indian Country has seen funding sources come and go over the past 100 years with largely unsuccessful efforts to reduce poverty and prevent further loss of Indian land. Despite popular belief, only a small number of Indian nations and Indian people have benefited substantially from casino revenues. The Foundation supports effective tools and provides resources that improve Indian use and control of reservation lands for the long-term benefit of their community. Projects help tribal communities prioritize land acquisition; understand and create opportunities for the productive use of Indian land; and develop mechanisms to expand direct owner management of their land. Many Native Nations relied on the sacred buffalo to meet their basic needs for food, shelter, clothing and ceremony. In the 19th century, more than 50 million buffalo were deliberately destroyed in order to starve Native people onto reservations, resulting in dire poverty and ill health. ILTF supports efforts to bring back the buffalo along with healthy lands, diets and economies to American Indian People. 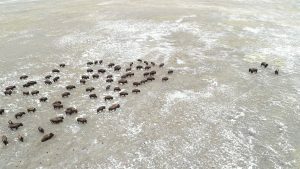 In 2017, ILTF supported the Rock Creek Buffalo Project on the Standing Rock Reservation in South Dakota. The Rock Creek District, comprised of nearly a million acres, is the most isolated of the eight districts on the reservation. 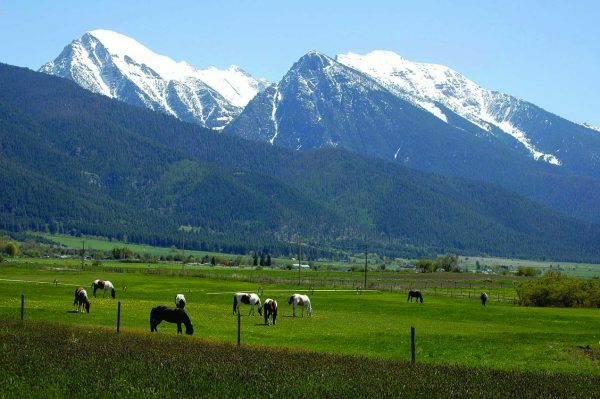 It includes the 15,000-acre Shambo Ranch, where a community buffalo herd has been established. ILTF’s support provided the resources to build fencing in a section of the ranch to contain at least 100 members of the growing herd. Among the additional impacts of the project are job training, employment opportunities, community sharing and a youth engagement program that is helping young people explore a future in buffalo ranching. Village Earth is a non-profit organization that helps reconnect communities to the resources that promote human well-being by enhancing social and political empowerment, community self-reliance and self-determination. Located on the Pine Ridge Reservation, Village Earth’s Lakota Lands Recovery Project conducts research, outreach and advocacy focused on increasing the control that Lakota people have over their lands and resources. 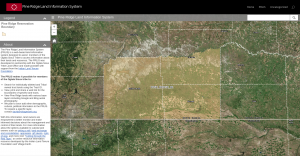 Developed in conjunction with the Oglala Sioux Tribe Land Office with assistance from ILTF, the Pine Ridge Land Information System (PRLIS) is a web-based tool designed to help members of the Tribe access information about their lands and resources. The PRLIS makes it possible to search for individually allotted and Tribally-owned trust lands using Tract ID, and view, print or share a web link for the boundaries of specific land tracts. The most recent addition to PRLIS now connects the Reservation Parcel layer with the Bureau of Land Management’s Land Patent Database and is a major step forward. The Indian Land Tenure Foundation promotes activities that support the recovery and control of Indian homelands. We work to promote education on Indian land ownership and management, increase cultural awareness of Indian land tenure, create economic opportunity on Indian-owned lands, and reform the legal and administrative systems that prevent Indian people and Native nations from owning and controlling their lands. Before submitting an idea, please read the list below of ILTF’s eligibility requirements, funding priorities, and the list of activities we do not fund. Benefits, fundraisers, walk-a-thons, telethons, galas, etc. Sustainability – Explain how the organization plans to sustain this project. Identify whether the proposed project has been discussed with, and is supported by, tribal or organization leadership. Please limit your LOI to two pages. ILTF will review your submission to determine whether we can support such a project at this time. The Foundation will invite successful applicants to submit a full grant proposal for consideration. Please email info@iltf.org to submit your idea.